For those who like their biscuits and snacks to have a warm, spicy edge, there are lots of sugar free recipes to consider. 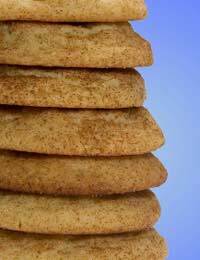 Cinnamon, ginger and many other spices can work well in sweet biscuits – especially when the sweetness does not come from sugar. Consider using honey as a sugar substitute, for example, and think about just how well its distinct flavour goes with ginger. Or instead of sugar try using sugar free jams, which come in all sorts of varieties. Then marry their sweetness up with cinnamon or ginger to see which fruity flavours work well for you with different spices. What biscuit could be quicker or easier to make than flapjack? The beauty of this sugar free snack is that most of us tend to have the key ingredients in our cupboards already. And on top of that, it is easy to jazz up the recipe by adding any dried fruit or nuts we also happen to have around. Preheat your oven to 180 deg C/350 deg F/gas mark four. Melt your butter and honey in a small saucepan over a low heat. Tip your Scottish oats into a large bowl. Sprinkle in your ground allspice and your pinch of salt. Pour your butter and honey into the large bowl with the dry ingredients. Stir well, making sure all the oats are covered by the liquid. Take small handfuls of your sticky mixture, roll into balls and position on a greased baking sheet. Take a fork and press each one flat. Bake for about 15 minutes. Remove from heat, and allow to cool and harden. This recipe calls for sugar free apricot jam and cinnamon. Try using sugar free strawberry jam and a little ginger, however, for a change. Preheat your oven to 180 deg C/350 deg F/gas mark four. Take a large bowl and in it cream your apricot jam and soft margarine. Beat your egg then stir into the mixture. Add your spices and stir well. Sieve your flour and baking powder and mix in to make a dough. Dust a clean surface with flour and roll your dough out to a thickness of about one cm. Take a circular cookie cutter and cut out shapes. Place on a lightly greased baking tray and place in the centre of the over. Bake for about 15 minutes or until golden brown. Remove from the heat and allow to cool. Dust with a little more cinnamon. Everyone’s favourite spicy biscuit! Experiment with the levels of ginger in this recipe to spice these biscuits up to the levels you enjoy. For an extra special topping try spreading with some melted diabetic dark chocolate. Preheat your oven to 180 deg C/350 deg F/gas mark four. Melt your butter and honey in a small saucepan over a low heat. Pour into a large bowl and allow to cool. Beat your egg and stir into the liquid. Sieve your dry ingredients and slowly stir in. Roll in your hands until you have a good dough. Dust a clean surface with flour and roll out very thinly. Using a cookie cutter, cut into the desired shapes. Place on a greased baking sheet and place in the centre of your over. Bake for just 10 minutes. Remove from the heat and allow to cool.